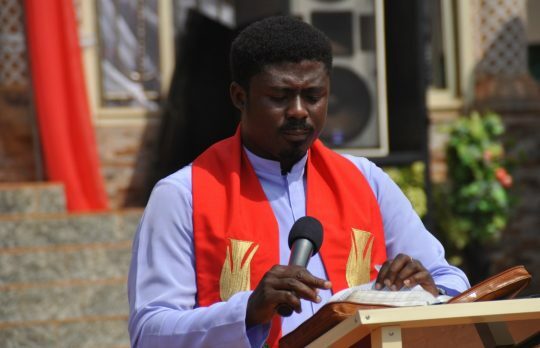 The Spiritual Director of the Holy Ghost Adoration Ministry, Uke, Anambra State, Reverend Father Emmanuel Obimma, also known as Ebube-Muonso, has claimed that President Muhammadu Buhari and former President Goodluck Jonathan helped the candidate of the All Progressives Grand Alliance, APGA, Willie Obiano, to win the November 18 Governorship election in the state. Incumbent Governor Obiano recorded a landslide Victory over the candidates of the ruling All Progressives Congress, APC, and that of the Peoples Democratic Party, PDP. Speaking with Vanguard, Ebubu-Muonso pointed out that Buhari’s visit to the state to campaign for his party’s candidate was his first to the state. He also maintained that there was no way the people of the state would have listened to Jonathan who did not carryout any Federal project during his time as President. He said, “Buhari came all the way from Abuja to endorse a candidate. Ever since he was elected the president of Nigeria, he has never visited Anambra state, except for the election. “All the Federal roads were abandoned, yet we have a president. Most of the benefits we are supposed to get from the federal were denied and we have a president. "Those things are disheartening. And again, former president Goodluck Jonathan came to campaign for PDP candidate, Mr. Oseloka Obaze. “Willie Obiano is the only candidate who has nobody but he has the people. Buhari endorsed Nwoye, Jonathan endorsed Obaze, and God endorsed Willie. “He has seen that God and the masses love him as reflected in the election. It is now left for him to justify the votes by filling in the gap in areas he did not do well in the past three and a half years. This is the time for him to re-strategize in order to make the people happy because he knows that some people are not happy with him. For me, he scored above average. “He did well in the areas of security and payment of workers salary. The Holy Spirit is warning him not to forget the poor masses. "I also believe that he won the election because people are tired of the imposition of candidates and godfatherism in the state.